Almost 20 minutes of 3 vs. 3 combat. Square Enix is at E3 2017 and along with suddenly releasing a new gameplay trailer for Kingdom Hearts 3 this past Sunday, it also has Dissidia Final Fantasy NT at the show. IGN had a chance to play the game for almost 20 minutes and offer a first look at characters like Cloud and Lightning. Check it out below. Along with various costumes, we also get a look at how the battles work. 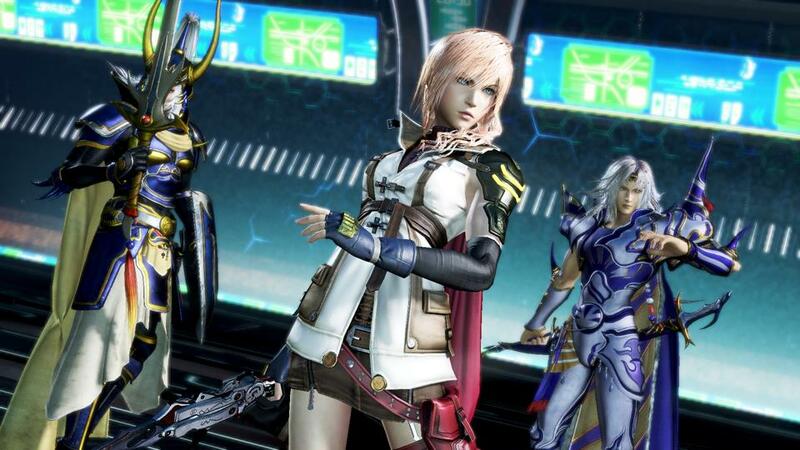 Dissidia fans will find plenty that’s familiar with large 3D arenas to move about and fight in. As the PS4 port of the arcade version, Dissidia Final Fantasy NT features 3 vs. 3 battles as opposed to 1 vs. 1 duels from previous games. The roster thus far will span 20 heroes and villains including Noctis from Final Fantasy 15 who joins the series for the first time. Dissidia Final Fantasy NT will release in 2018 for the PlayStation 4. What are your thoughts on the new footage? Let us now in the comments below and stay tuned for more information.